1. Maintain pH levels within the ideal range 7.2 – 7.6. If the level is not in this range, adjust. 2. 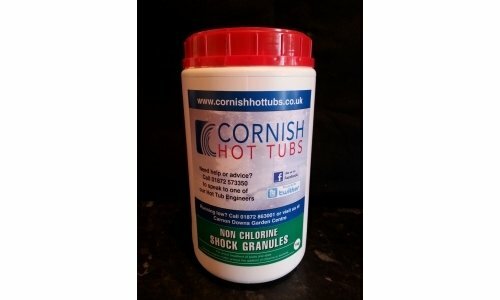 Maintain free chlorine levels in the range pools: 1 – 3mg/l (ppm); spas 3 - 5mg/l (ppm). Maintain bromine levels in the range pools/spas: 3 – 5mg/l (ppm). 3. Pre-dissolve this product in a clean plastic container at a maximum rate of 100g of product of 2.2 gallon (10 litres) in water. Stir well to ensure product is fully dissolved. Add the resulting solution to the pool or spa whilst the pump (s) are turned on' preferably near the water inlets to aid distribution.